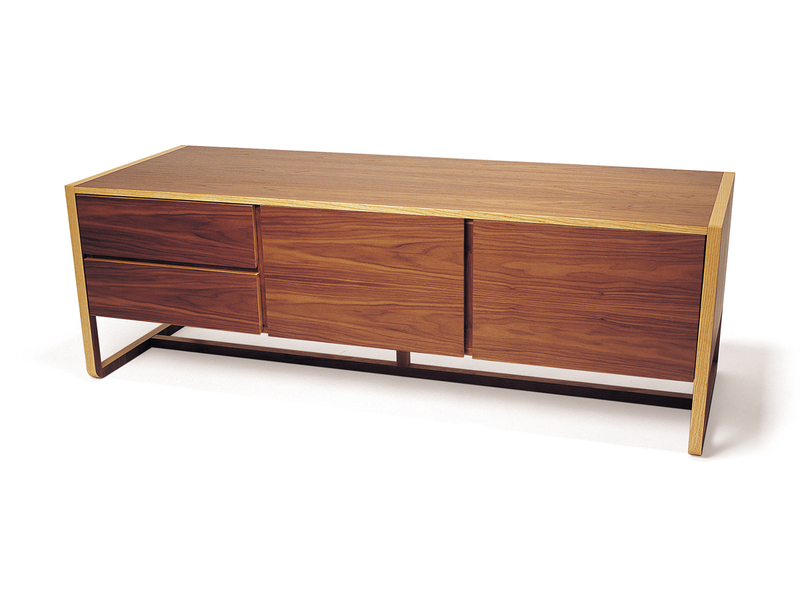 Designed in collaboration with Sam Johnson, The ‘London’ range of furniture comprises of a sideboard, low unit with and without drawers. The panels are veneered walnut with solid ash edging which gives the pieces their distinct contrast and graphic element. The end panels are machined from a single piece to create the legs, and the drawers and doors have a hidden bevel detail along the edge which acts as the handle. The units are all hand finished and assembled using traditional cabinet making skills.